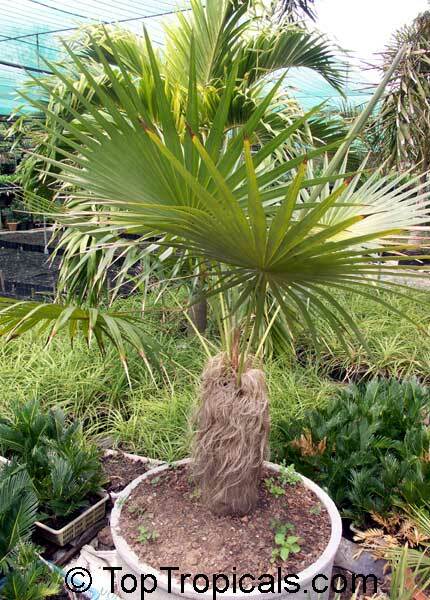 Bismarck Palm - a stunning and very much wanted palm, drought and salt resistant. 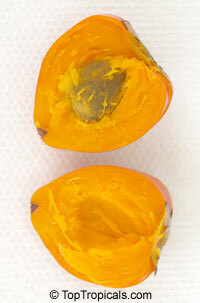 Blue form takes the inland heat better. 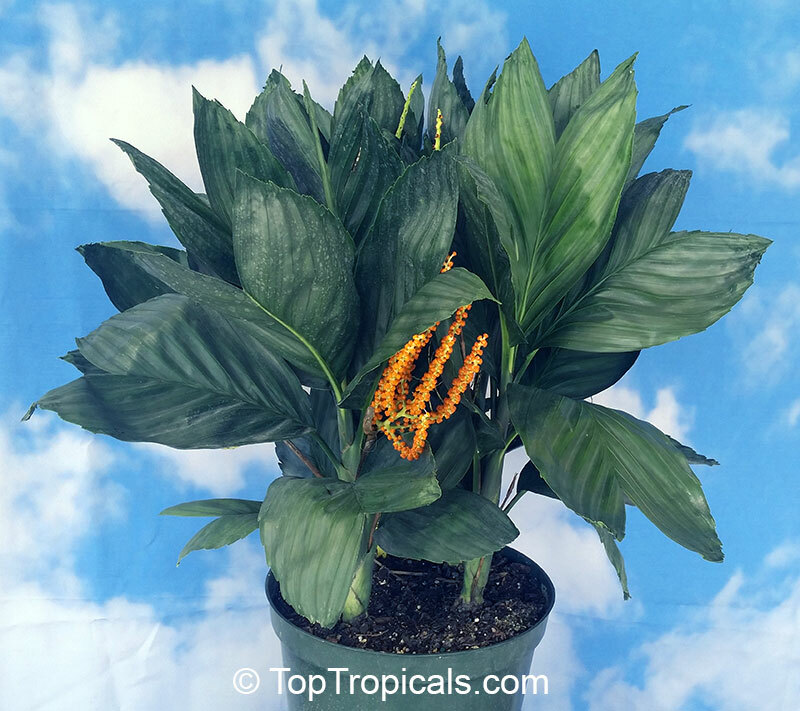 The popular and much loved metallic palm is the only palm that has foliage with a dark metallic blue green sheen like the color of gunmetal. 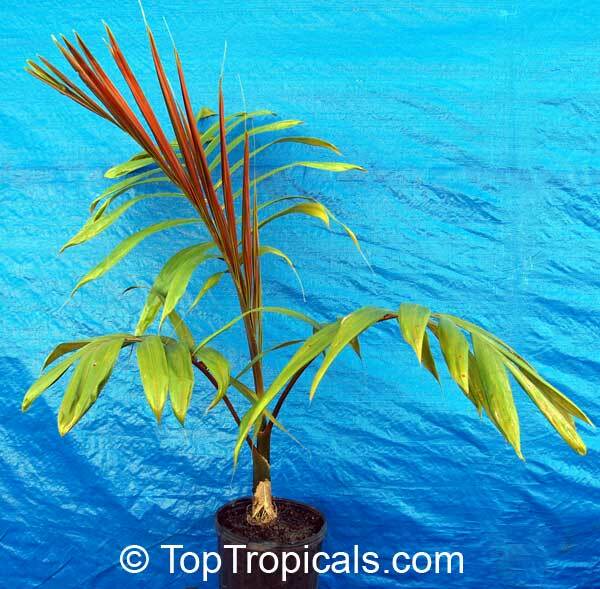 Naturally tolerant of low light conditions, metallic palms are perfect for understory plantings and ideal as houseplants. 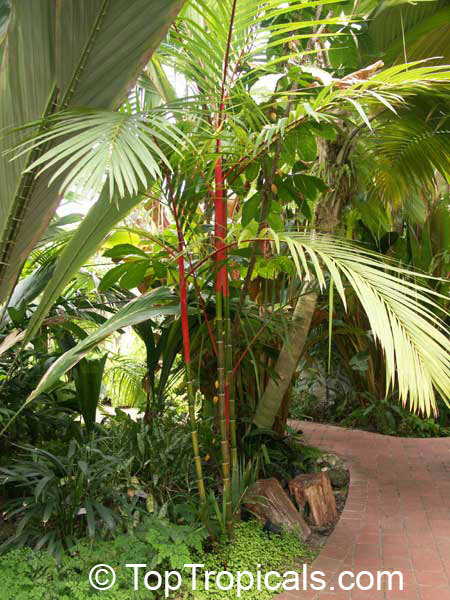 Metallic palm stands out as a small accent plant due to its remarkable metallic evergreen foliage that provides spectacular backdrop for flowering plants in shade gardens. 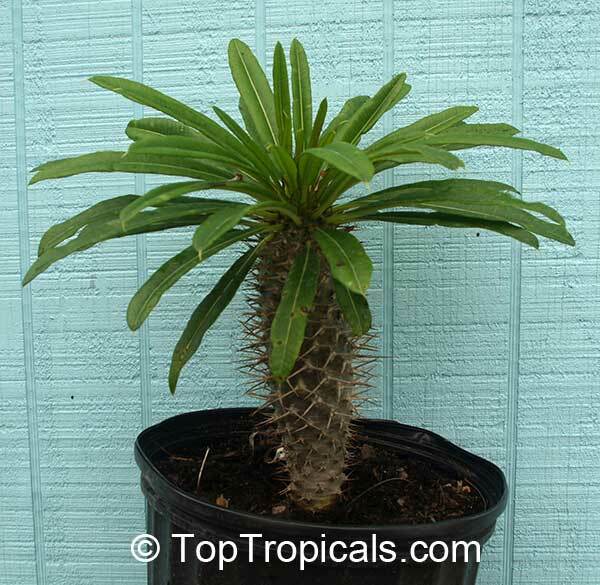 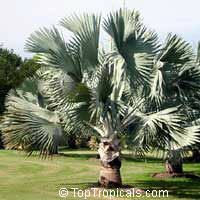 The metallic palm also will grow beautifully on the eastern side of a house where it will get little or no sunlight. 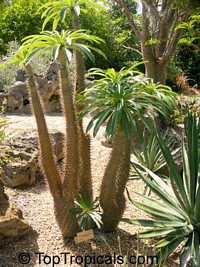 One of the most attractive species in the genus, with a faster than average growth rate. Matting on the trunk makes it look unique. 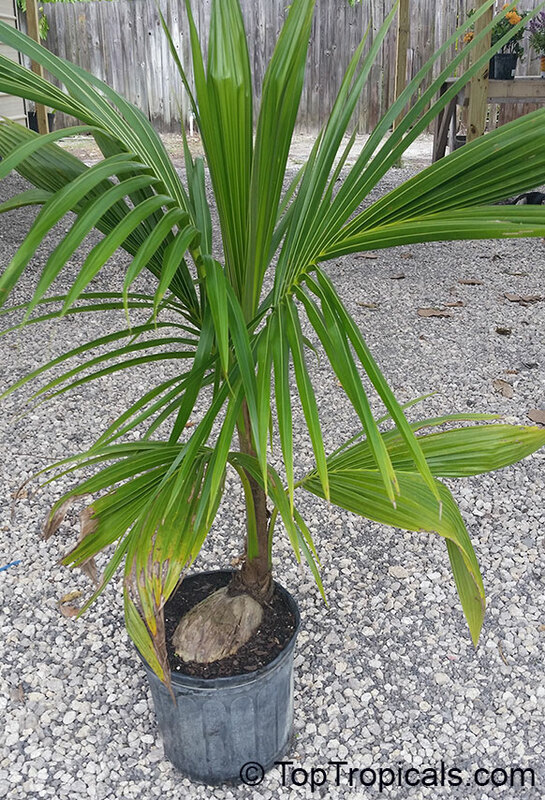 The plants we have in stock are nice developed size. 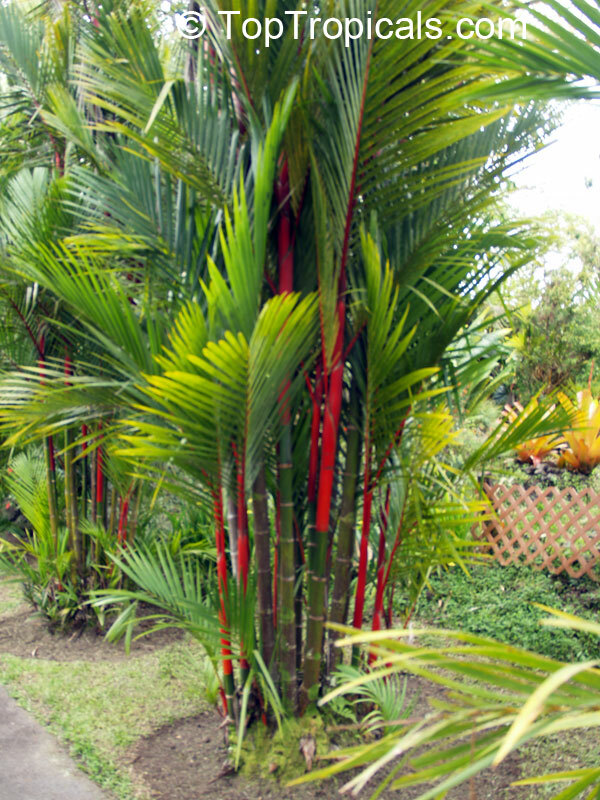 This unique palm comes from the Caribbean island of Hispaniola and has a very unusual, stout trunk that is usually massively swollen in the middle. 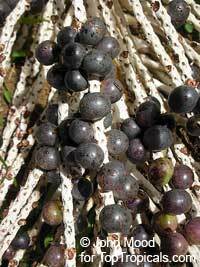 It bears purple fruits and robust, fan-shaped, green leaves with silvery undersides. 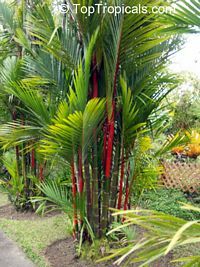 It is best suited to tropical climates and will be alright in warm temperate areas where it receives heat in summer and little or no frost in winter. Assai Palm. 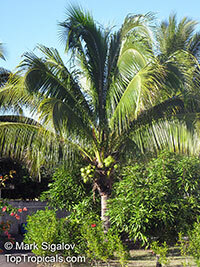 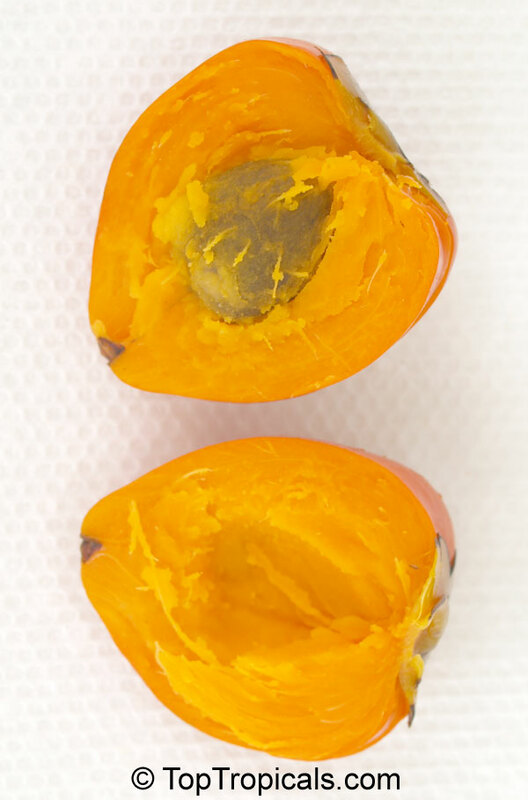 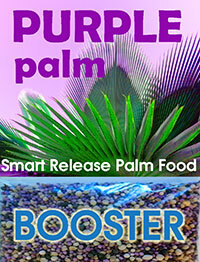 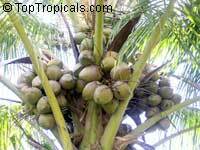 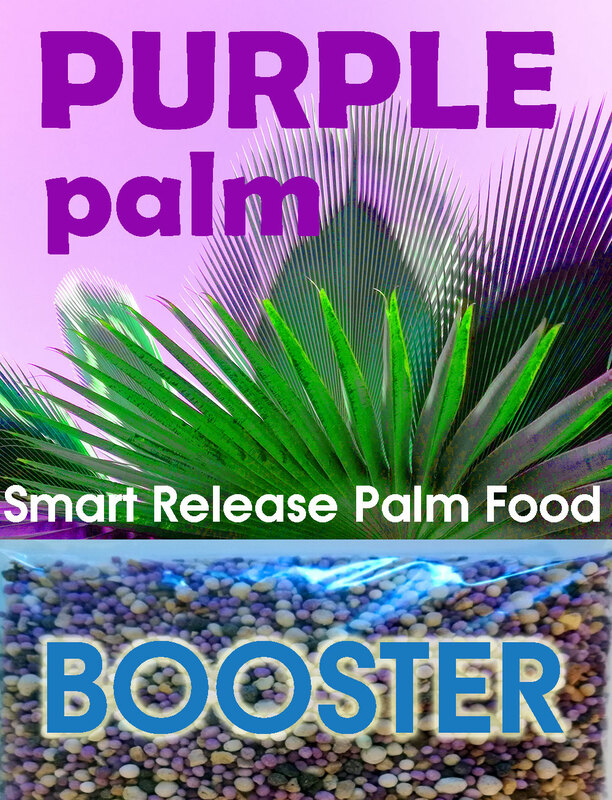 One of the most valuable palms that is famous for its anti-oxidant qualities of the fruit juice. It is a fast grower with multiple stems. 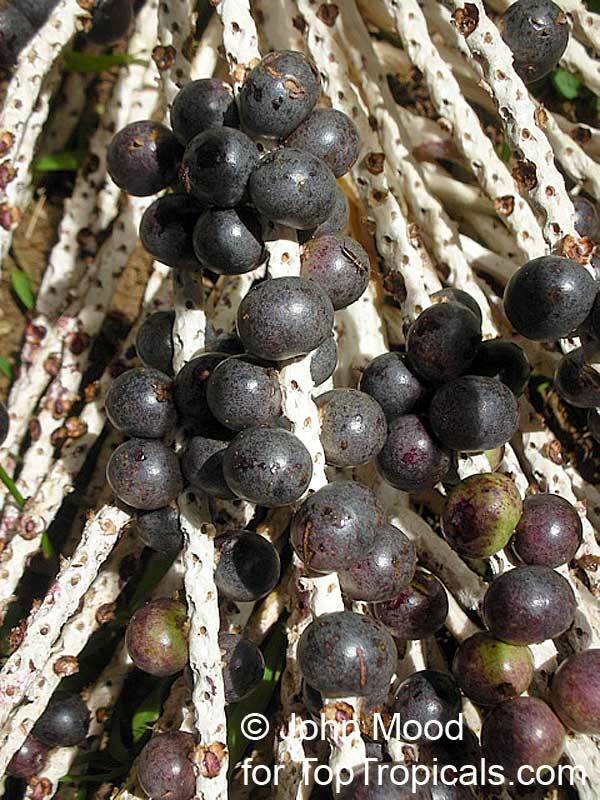 The fruit is a round berry, black at maturity, pulp is edible and used in beverages. 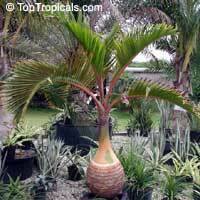 Bottle Palm. 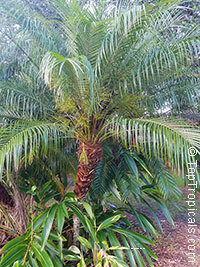 Extremely showy palm, with a bottle-like swollen trunk. 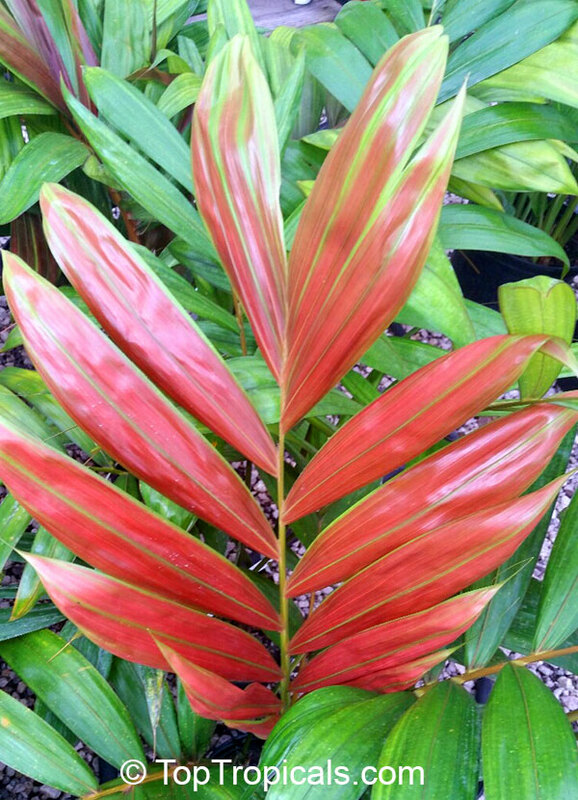 Perfect for a container on a patio or as a specimen in your garden. 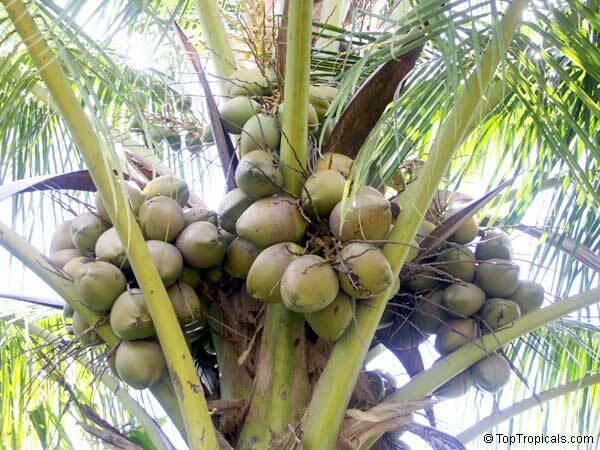 Can stay in a container for many years. 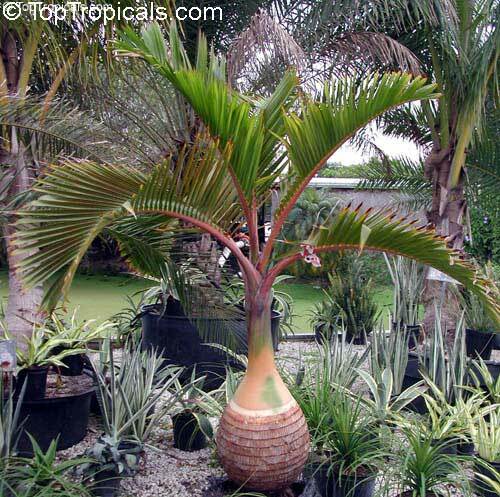 Bottle palm. 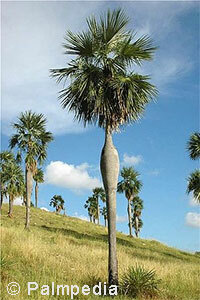 One of most unsual looking palm. 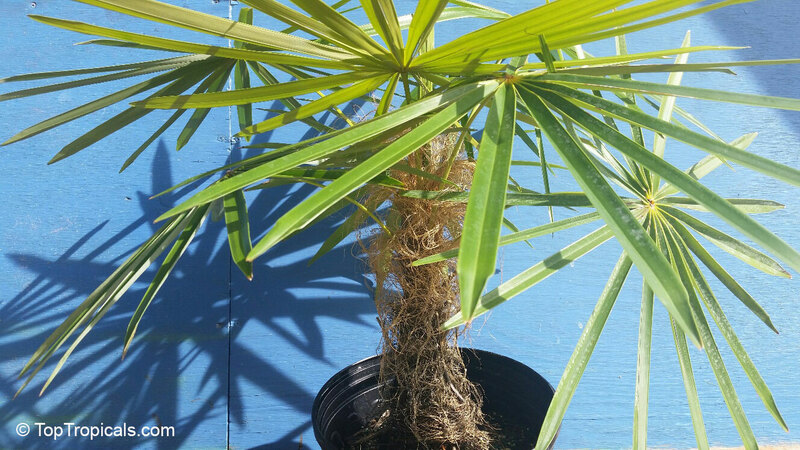 Large plant in 1 gal pot with stem just started to form. 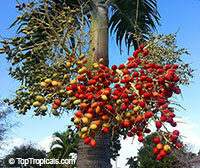 Spindle palm. 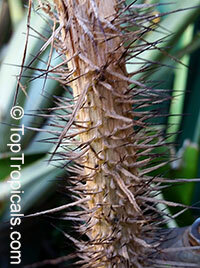 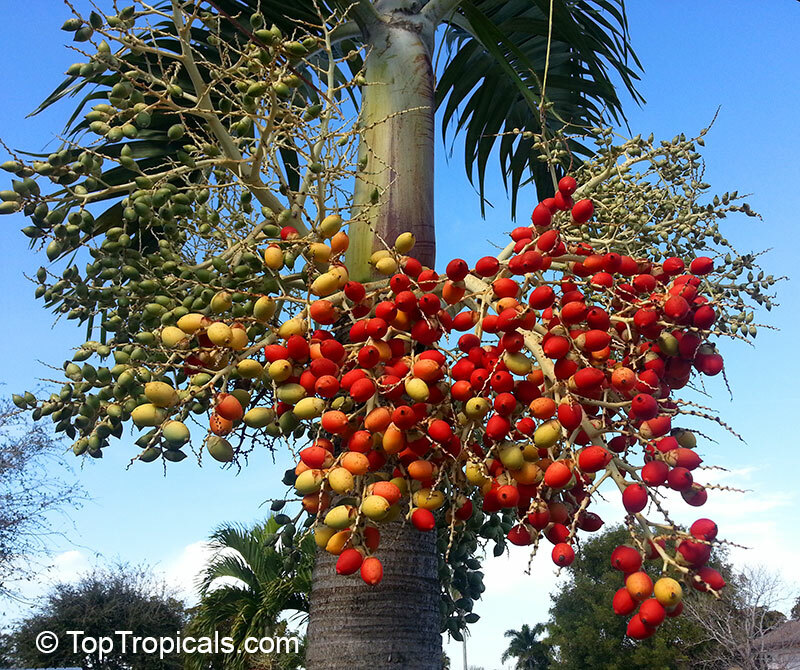 This tree is bottle palm relative, very showy palm with a swollen trunk. 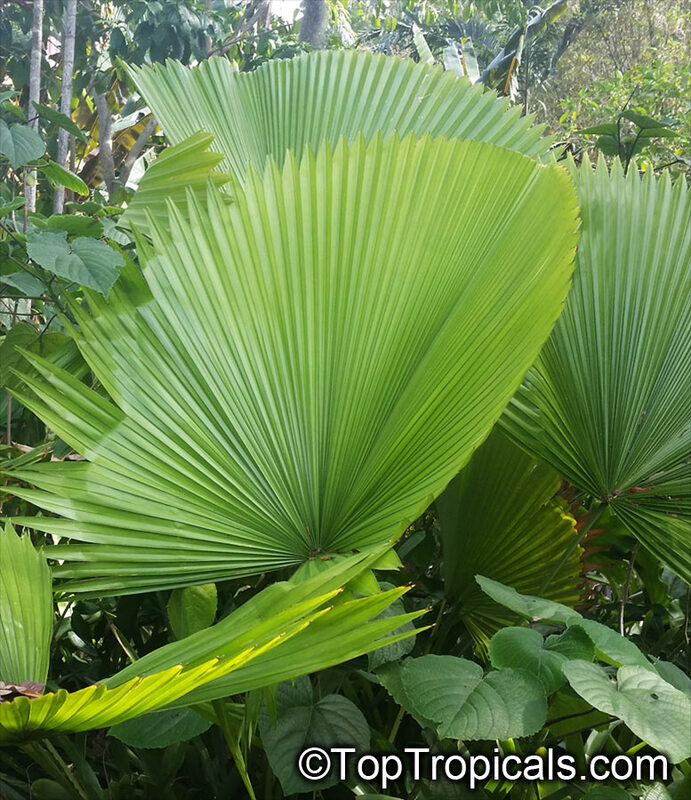 This understory palm has very large, nearly completely circular, pleated, deep green leaves on long, dainty petioles that are so geometric in shape, they barely look real. 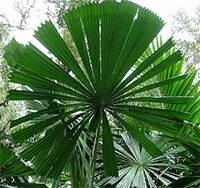 This is the magnificent and much desired, entire-leaved variety of Licuala peltata, one of the most beautiful species. It is a moderately sized palm with usually only a short trunk, and its crown holds as many as 15 huge, flat, undivided fan leaves up to 7 ft in diameter! Native of Thailand and Malaysia, this species is much more tolerant of cool conditions than nearly any other Licuala and it will thrive in subtropical and tropical conditions and possibly even in protected spots in some frost-free, warm temperate climes, of course always out of the wind. 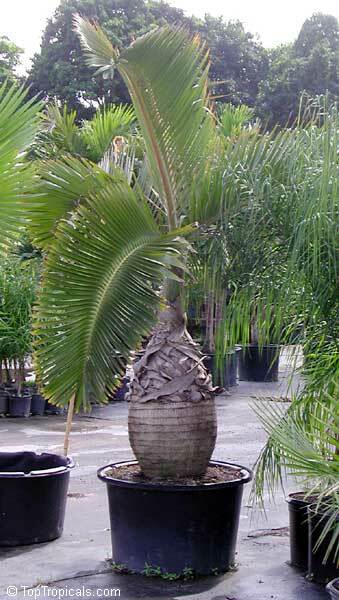 This collectible palm is one of the most ornamental and prized. 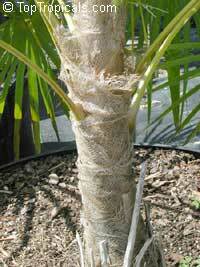 Very rare palm, much desired by collectors, the Australian Fan Palm likes a rainforest situation. 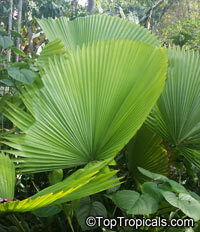 A shady position and plenty of moisture is all what is needed to grow Licuala ramsayi successfully. 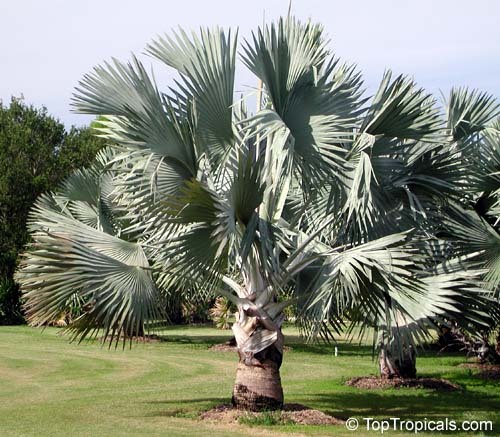 This is one of the most cold tolerant of the Licualas, but is still a tropical/sub-tropical plant, and definitely not frost hardy. As a youngster it prefers quite heavy shade, but its an emergent plant so adults are sun-hardy. 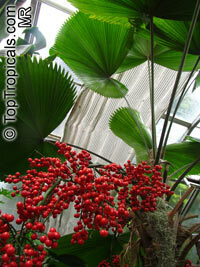 It is a very slow grower, but its still a highly desirable plant for a warm shady nook. 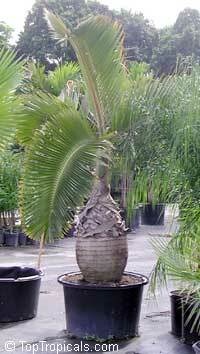 Pygmy date palm. Very easy to grow, fast growing dwarf palm for any Southern landscape. 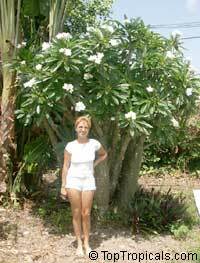 Cold hardy to 25F. It makes a perfect specimen plant. Being shade tolerant, drought tolerant, and low maintenance, it is often used as a house plant, in office designs, etc.